If you run an online business and want to ensure that you have passive income streaming in at all points, automation is key! 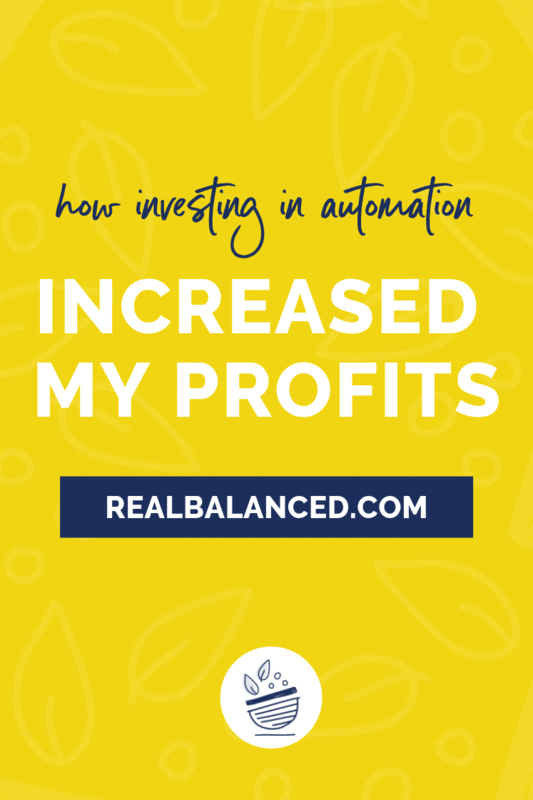 This post covers everything you need to know about utilizing the magic of automation to lessen your stress and to make more money! When it comes to running a profitable business, especially an online business, there are many tricks you can implement that will make the process of completing day-to-day tasks run much more smoothly and will, in turn, make you more money. One of the primary tools that I firmly believe in using and investing money into is an automation process! So, what does “investing in automation” in terms of running a blogging business mean? Automation is the act of implementing as many “run-on-their-own” processes into your online business as possible with the intention of saving time, increasing profits, upping productivity, and making your business life easier and a lot more scaleable. 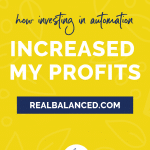 There are so many benefits to automation and I have found that they are crucial to implement, usually regardless of cost, especially if you want to grow and scale your business. How can investing in automation make you more money? Like many investments, spending money on automating aspects of your business won’t pay off immediately; however, when done properly, slowly but surely, you’ll begin to see a major return on investment. How? Because automating recurring tasks like publishing blog content and social media posts, sending out automated emails to nurture and “warm up” your email list, pinning and re-pinning Pinterest pins, and taking out redundant steps in the writing process will free up both your time and space in your mind. With some effort up front and automation processes in place, a variety of aspects of your business will run on autopilot, thereby allowing you to create new, exciting content and make more money, all while you feel less stressed and more productive. Scheduling blog and social media posts is one of the best ways to utilize automation because it will allow you to batch your work. I sit down and schedule out ALL of my posts for the coming days or week, and then the schedulers publish the post at the time I’ve previously determined. I use scheduling tools for my blog and three main social media outlets: Instagram, Facebook, and Pinterest. Blog: At Real Balanced, we work ahead by several weeks. 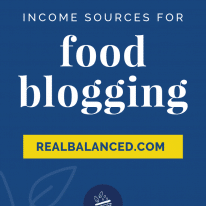 When you are seeing a published blog or recipe post, we likely finalized it weeks in advance. Why? Because I’m ALL about batching my work. We have several different people doing several different jobs and the goal is to always have everyone working on similar tasks on specific days of the week. Instagram: As a blogger, using Instagram is essential and, honestly, it’s just a really fun way to communicate with your readers and to show your audience some of “behind the scenes” of your life. To schedule my Instagram posts, I use an app called Later. Using Later allows me to prep my Instagram posts ahead of time so that they post automatically, complete with captions, hashtags, and more! Later has free plans, but I’d suggest paying for the “Plus” or “Premium” version as these have more capabilities to make your automation process even smoother. Facebook: When it comes to Facebook, the Facebook Scheduler (native within FB) is a life saver! With this tool, I can have posts for my business and group pages ready to go exactly when I want. They go live, even if I’m busy doing other things. I used to use Hootsuite, but we’ve since changed to solely scheduling within Facebook as it’s my understanding that engagement rates are better when you are actually scheduling within the platform. 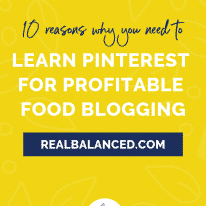 Pinterest: Tailwind is a must for Pinterest scheduling. Tailwind allows me to schedule my pins ahead of time so, throughout the day, my pins are constantly being pinned to a variety of boards. Aside from the automation side of this tool, Tailwind also utilizes Tailwind Tribes, which allow you to collaborate with other bloggers, share their pins, and have your pins shared. Highly, highly recommend investing in Tailwind if you want to take your blogging business to the next level. Are you going to try out post scheduling? This form of automation is amazing because, once everything is scheduled, you don’t need to think about it again. Batch a few hours each week to schedule everything and then, throughout the week, almost like magic, you have an ongoing social media presence without having to sit on multiple platforms all day long. Publishing email sequences are GAME-CHANGING! This automation method is extremely powerful. When implemented properly, this automation tool can rapidly increase your revenue AND create serious change within your online business. Personally, I grow my email list with a variety of lead magnets (free digital products) that people can subscribe to my list to receive. After they’ve confirmed their subscribtion, they begin to automatically move through my Welcome Sequence, which starts off with a brief, yet personal welcome email about what they can expect from my site and my emails. When you get your lead magnet set-up and ready to deliver to subscribers, be sure your Welcome Sequence is already built out with at least a few emails; it doesn’t have to be super long, but I’d suggest at least 3-5 messages. At the time of writing this post, my primary Welcome Sequence (I actually have two different ones) is almost 6 months long! Basically, this means that from the moment you opt-in to the moment you get your last Welcome Sequence email from me, it’ll be almost 180 days later. I use and recommend ConvertKit to send my email sequences and newsletter broadcasts to my subscribers. The magic of email sequences is that once they are set up, no further work is required on your end. Essentially, the “work” or “sales pitch” is done for you, and you can convert customers in your sleep. If you participate in earning affiliate income, Tasty Links is an incredible tool. It’s a plugin within WordPress that connects keywords with their related affiliate link. All YOU have to do is specify the keywords (a SUPER simple process) within the plugin. After you publish the keyword and your associated affiliate link, your links are automatically placed within your content. When someone clicks a linked keyword, it goes through YOUR affiliate link so that if they purchase, you will be credited and may make a commission. This helps to maximize your affiliate revenue AND removes the extra step of copying and pasting your affiliate links every time you mention a product. With Tasty Links, you can optimize the content however you wish. Set specific disclosure text, utilize “no follow” links, choose to have content opened in a new window, and more. So, for this example, whenever I use avocado oil in a recipe, I don’t have to manually place a link in WordPress. I just type “avocado oil,” and then Tasty Links does the work automatically for me! If you utilize Tasty Recipes for your recipe cards, your links will show up in keywords there, too! There are truly so many advantages to automation. From saving time and batching work to creating passive income and making your life simpler, automating your processes is the way to go! 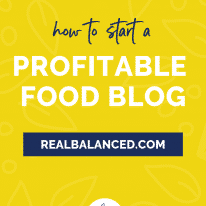 If you’re new to blogging, be sure to read more about how to start your profitable food blog! So, how will YOU implement automation to increase your business productivity? Sara, this is such a great post! Keep them coming! I love learning about this stuff and it’s so helpful to people like me! I was happy to find out that I am automating most of the stuff you had discussed in this post minus Tasty Links. I didn’t know there was such a thing and I can’t wait to set it up! It will save me so much time!! Affilate links take forever and I am starting to get annoyed with putting them in to be honest, lol. This was sooo helpful. Please keep posting articles like this, I will be re-sharing them! So happy to hear it was helpful! Tasty Links, and just anything from WP Tasty, is always a great option, in my opinion. They do a great job with upkeep on their plugins and they’re always extremely useful tools!